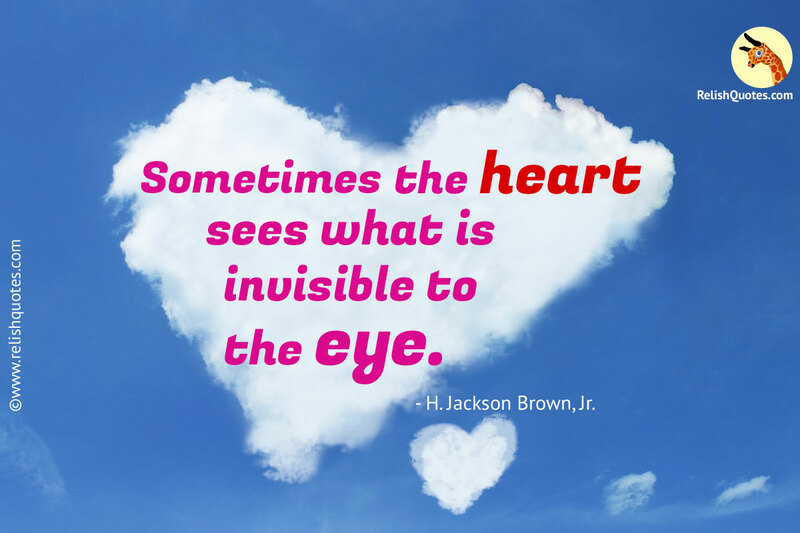 What this Love Quote tells us? Love Quotes have the power to give words of expression to the unsaid and tangled feelings of your heart. We all often hear people saying, what you see is what you should believe. True? May be not. But do you really think that seeing, is believing? Have we ever tried and questioned that it may be possible for things to be the other way round too? Today’s times rely on superficiality in every aspect. Blinded by the curtains of evidences and proofs and immersed in glitziness, we often tend to forget that, there might be a fair chance of the unseen, unheard and unspoken things to be correct too. In the external chaos of a world moving at a flying pace and amidst the internal conflicts of thoughts, we sometimes avoid and sometimes do not give the due and deserving importance, to the inner voice that God has gifted us with. It has been scientifically proven too, that the soft knock and innate thoughts that our heart signals us with, to listen to, have always been right. The mind registers and stores all that your eyes capture, but the feelings, emotional connections and the expressions that your heart signals are always the ones that give the ultimate satisfaction. You never know when a false image or pretence may get registered by your sight, but somewhere deep down there might be a very frail voice, giving you an equally strong opinion that would clash with the opinion that your mind creates on the basis of the image your eyes captured. A lot of times there are different aspects of a scene that are noted by your eyes and your thoughts and feelings, begin to relate and rely on the same, leaving the instincts of the heart neglected, ignored and uncared for. As a conclusion, this Love Quote suggests to give your heart a chance to speak and do not allow you mind to get dominated and ruled by your vision.